Indonesia is slowly moving toward a wide range of structural reforms critical to soothing the anxieties of local and foreign investors. Less than a decade after the fall of the dictator Suharto, Indonesia is moving to hand more power to regional governments, improve its fiscal house and slash the red tape and bureaucracy that often surrounds doing business here. Yet despite the widespread perception of the need for reform, the administration of President Susilo Bambang Yudhoyono finds itself frequently at odds with parliament as it forges a democracy and raises living standards after decades of autocratic rule that ended with the fall of Suharto in 1998. Business executives looking to tap into the country’s vast natural resources and low-wage workforce can still smack their heads against onerous labor laws, corruption, an uncertain legal environment and murky land acquisition rights. Decentralization also means that business executives must be ready to deal with regional and local officials who can issue last-minute arbitrary decisions that are frequently at odds with a federal ministry’s proclamation. “Local authorities don’t always consider the national interest,” says Wells, adding that local governments can sometimes negate a decision made in Jakarta. “The competence at the local levels is not as great as at the national level,” he adds. Yet analysts laud the present government for keeping the economy on an even keel and maintaining its upward momentum since the country was devastated by the Asian financial crisis of the late 1990s. 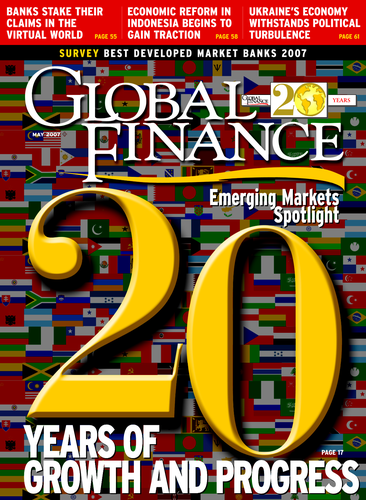 That crisis, which shook financial markets around the world as foreign investors withdrew millions of dollars of portfolio investments from emerging markets, slashed the Indonesian economy by 9% in 1998 and left it with zero growth the following year. A former army general who portrayed himself as a man of integrity during the campaign, President Yudhoyono assumed power in Indonesia’s first-ever direct presidential elections in September 2004 when he unseated the incumbent Megawati Sukarnoputri. He had served as a security minister in her administration and, during his presidential campaign, promised to fight corruption, jumpstart the economy and tackle separatist conflicts. 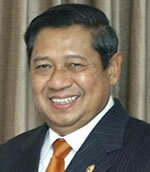 Yudhoyono has already tasted significant success as president. He received international praise for signing a peace deal in 2005 with separatist rebels in the Aceh province. And the country’s economy, which had been growing steadily for a decade, is expected to grow by nearly 6% in the coming year after an increase of 5.5% in 2006. Inflation has been a little more troubling but is predicted to drop to about 7% this year, after reaching more than 12% in 2006. Meanwhile, unemployment remains steady, at just under 10%. In its latest report on Indonesia, released in February, Moody’s notes that the government’s prudent fiscal policy has led to modest budget deficits, which tallied 1% of GDP last year. Combined with the country’s strong economic growth, these deficits have led to a drop in the ratio of government debt to GDP, to about 42% at the end of 2006. In 2000 the ratio of government debt to GDP was 100%, Byrne notes. “This ratio is now comparable to the ratios of countries rated more highly,” the Moody’s report added. In February Moody’s upgraded its outlook from stable to positive on Indonesia’s B1 foreign and local currency government bonds. With no general or presidential elections set until 2009, analysts say corporations can expect the Yudhoyono administration to stay the course. But Moody’s notes that the country’s improving political stability could be jeopardized over the longer term if there is a return to slow growth and low levels of investment. In fact, analysts repeatedly stress the need for the Yudhoyono administration to push through a range of reforms that would address such issues as customs and excise taxes, labor laws, land acquisition rights and the legal system. In a February report Fitch Ratings notes the government’s efforts to improve its infrastructure, one of the main complaints of businesses, with various financing mechanisms. These include a land acquisition revolving fund and a project development facility. Credit Suisse analysts in Singapore said in a December report that the Indonesian government announced that it would focus on 10 infrastructure projects. These include three toll road projects (two in Java and one in Medan), six power projects (four in Java and two in Sulawesi) and one water project. The report notes that the government’s ability to acquire land for toll road projects remains uncertain. Investment reforms would help ease the cost of doing business for domestic companies as well as lure additional foreign direct investment, which has declined since the financial crisis. Byrne of Moody’s says new inflows of foreign dollars inched up by 0.6% in 2006 and are expected to grow 0.8% this year. But those figures are up from zero in 2005 and below zero in previous years. Many analysts say labor reform will be necessary in order to tempt in more foreign investment. “The current legislation is onerous to investors. It makes it difficult to fire workers,” says Ai Ling Ngiam, Singapore-based director of Asian sovereign ratings for Fitch Ratings. Ngiam says government efforts to make the law more flexible for employers has repeatedly met with opposition from labor. Indonesian labor unions, for example, held protests earlier this year when President Yudhoyono met with other leaders of the Association of Southeast Asian Nations at Cebu Island in the Philippines. Analysts do agree on one thing: that the country needs to diversify from its traditional dependence on extractive industries, such as oil, gas and minerals like gold, tin and copper. Projects in these sectors are vulnerable to backlashes from local groups concerned with national sovereignty as well as domestic and global environmental groups worried about the environmental fallout. At the same time, Indonesia faces fierce competition from countries such as China and Vietnam, which have less expensive labor costs, to sell itself as a manufacturing base for foreign manufacturers of clothing and other consumer goods. It also does not have the same ready access to Pacific ports, to reach US markets, that those other countries have. “They need to find a niche where they can grow,” says Ngiam. She believes the government needs to help Indonesian exporters become more competitive and that domestic companies need the capital and technology that can accompany foreign investment. She points out that the federal government has targeted a slew of state-owned enterprises for possible privatization. “They have not yet engaged in privatization in a big way,” she adds. Welsh believes an opportunity exists for foreign investors to link their capital and technology with small and mid-size entrepreneurs throughout the country. “There are a lot of creative small businesses. Foreign companies could try to harness that energy,” she says, adding that small manufacturers of high-quality textiles and apparel, woodwork and paper products hold tremendous potential. Fitch notes in its report that the two largest state-owned banks, Bank Mandiri and Bank Negara Indonesia, have made progress in recovering and restructuring some of their larger, mainly corporate, legacy loans. But the process needs to be monitored, as the risk of loan reversion is still high. Lex Rieffel, a non-resident senior fellow at The Brookings Institution in Washington, DC, who specializes in the global economy and development of emerging markets, believes one positive component supporting Indonesia’s economic stability is the popular support for the democratic process. “Even in the rural areas, there is that feeling of the power of the ballot box,” he says.